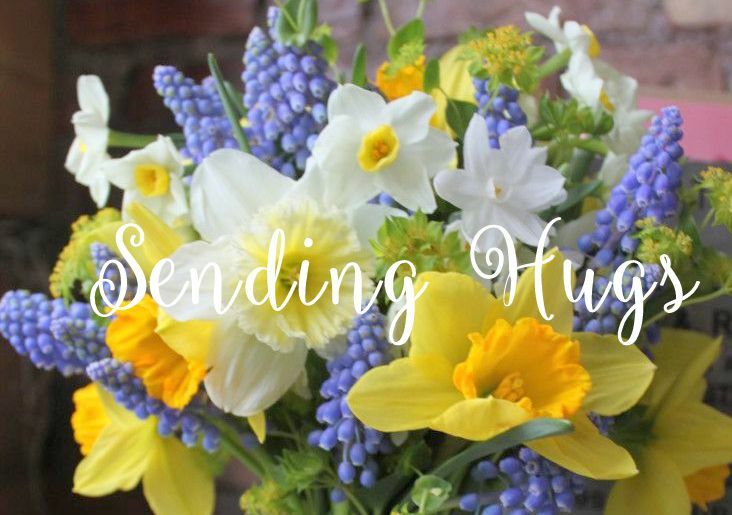 Hearts, hugs, flowers and gingham.........4 of my favorite things! I wanted to make a card to enter into the Moxie Fab World's Stamp It! Cards week for the Thank You challenge. I also wanted to use the bordered sentiment technique again, also incorporating the Velveteen Stamping technique that I learned from Shari Carroll. Can you see the underlying pattern that was stamped all over the card in white ink first? That is the velveteen technique. 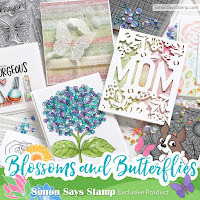 Briefly, to get this effect you stamp a background stamp in white ink on white cardstock, then overstamp the sentiments and flowers using colored inks. You get the best results when your stamps are solid rubber, so that the underlying pattern can show through......I was surprised to see it come through on the biggest sentiment also! For those who haven't tried the faux-letterpress technique, it's really simple: ink the top of your embossing folder before inserting your paper and embossing it. I chose this Hero Arts mid-tone ink because I knew it would give me good coverage. Now it's your turn! Make something using our theme this week and upload it to our Simon Says Stamp Challenge blog. 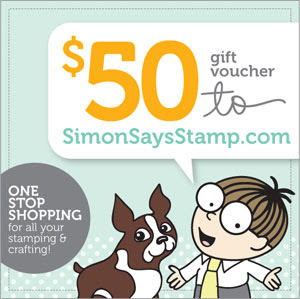 As usual, there's a $50.00 voucher to the Simon Says Stamp Superstore!! Hope you're having a great week so far! It's turned wonderfully cooler here, in the low 70's, and sunny - my kind of weather! Last night I was visiting a very special blog in Germany and Franziska ended her post with this link to a beautiful piece of music, which I know, but haven't listened to for quite awhile. It touched me deeply and so I'm sharing it with you, too, today: I love this so much, I think I'll put it up as a link over on my sidebar. The sketch at the Inspired by Stamping Inspiration Challenge this week intrigued me. I haven't used this pretty stamp nearly enough, and decided to stamp it in pink for the CAS-ual Fridays challenge. It's no secret that I love this flower - the 3 different sizes are perfect for layering - I used a soft pink vellum this time. I used PTI's Garden Variety II for my sentiment and Flower Fusion #6 for the smallest pink flower and the black dots. 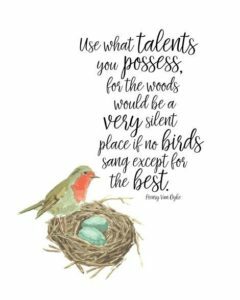 I recently got this elegant lady image, designed by Nina Brackett for Penny Black, and thought it would be perfect for the challenge. Welcome! 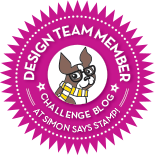 I am thrilled to be posting for the first time as a new Design Team member at the Simon Says Stamp challenge! 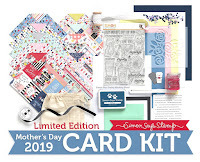 Our challenge this week is "Anything But a Card" and we are showcasing 7 Gypsies and Maya Road products. I decided to make my own wrapping paper using a set of 7 Gypsies bird stamps, and couldn't resist adding a little card to go with it. I love to personalize my gifts by making them coordinate with the gift, if possible, either using the same theme, or colors of the gift inside. Inside, my little gift is a diary/journal with birds on the front. I simply started with a piece of printer paper and stamped the birds all over before wrapping my little book up. 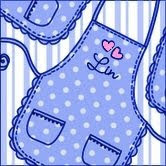 Then I added the fun leafy ribbon and my tag. 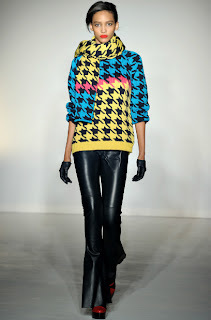 Easy, but when everything coordinates, it makes a special statement. 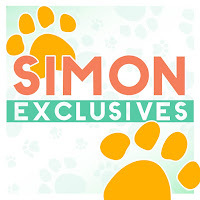 I hope you'll play along with us this week - there's a $50.00 gift voucher from the Simon Says Stamp Superstore up for grabs for 1 lucky random winner! 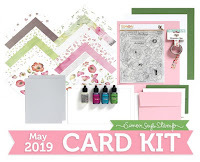 Please come visit us at the Simon Says Stamp challenge blog to see what my other teamies and our Guest Designer Liz Marzden made for you! I trimmed a white cardstock panel slightly smaller than my card front, then die-cut the Branch with leaves twice from it. I stamped my sentiment as shown, then the negative die-cut panel was then popped above my green card, adding the flower and pearls to finish. 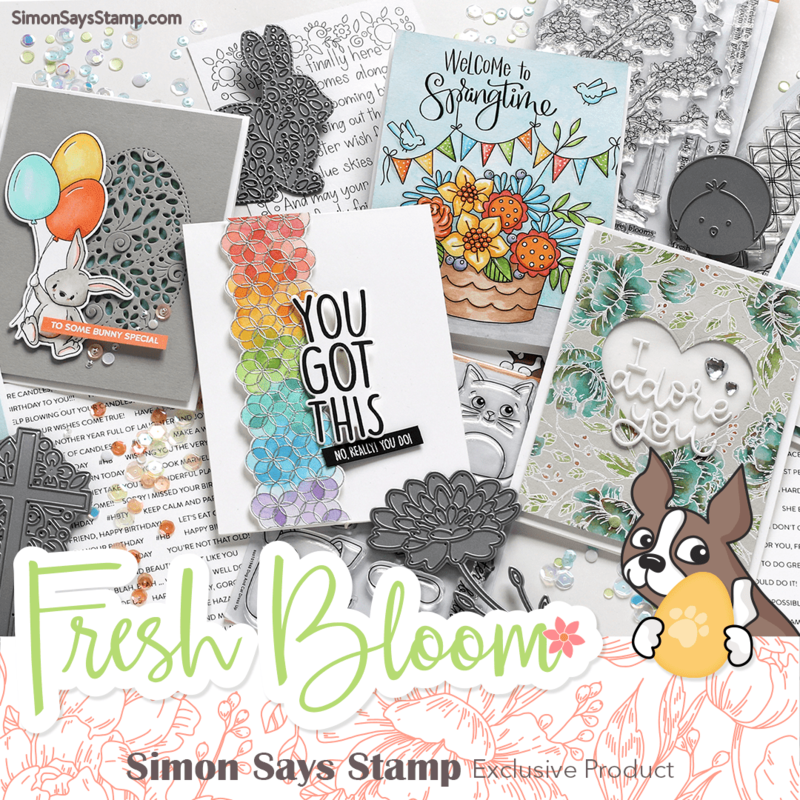 Flourishes is unveiling a new stamp set called Letters in Blossom and their Noon Time challenge is to make a card using a letter as a focal point. I've been floating around here on Cloud 9 all day, but I wanted to share this good news with you all! 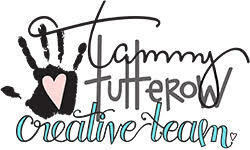 I am so honored to be among these creative ladies! Congrats to my other new teamies, Cheiron, Jennifer, Laurel, Lisa, and Sarah, and thank you, Heidi and the Simon Says family for this amazing opportunity!! Hope to see you all play in the weekly challenges! One last card for the Flourishes Gimme 10 challenge, and also for Julie Koerber's Celebrate Five challenge - I used resist for Julie and kept it very simple, just 4 easy steps, easily doable in 10 minutes. supplies: white cardstock, Flourishes Sweet Days of Summer, VersaMark ink and Zing white embossing powder, tumbled glass and peacock feathers distress inks, Nesties scalloped rectangle die as a mask. I love using text on my cards and adding resist to it is a plus. This text is an excerpt from "The Secret Garden", one of my favorite childhood books. This particular flower stamp stamps the background, which I white embossed to block out the text, letting it appear only in the flowers and leaves, which I then colored with markers. The resist also keeps my coloring in the lines, an added bonus for some of the tiny details. These hollyhocks are a sentimental favorite of mine, so everything about this card has meaning for me. Hope you like it, too, Julie! Happy Blogversary, Julie! May you continue to inspire us for many more years! When I saw CAS-ual Fridays challenge to use polka dots, I, of course, thought of my beloved BoBunny double dots papers, and pulled out a new-to-me Hero Arts stamp set to use them with. At first I thought of this as a kind of "welcome summer" card, but it would also work for a congratulations card to a couple expecting twins, don't you think? The fun challenge at CAS-ual Fridays is called "Sweet Spot", to use polka dots. I used some of the Target Washi Tapes in orange and turquoise and then added a dotted sentiment, a dotted flower, and embossed with dots, too! 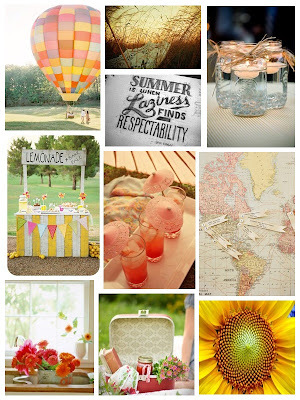 The challenge at Flourishes is to make a clean and simple layout that can be done in 10 minutes. I'd also like to enter Julie Koerber's 5th Blogversary Celebration challenge with this card. 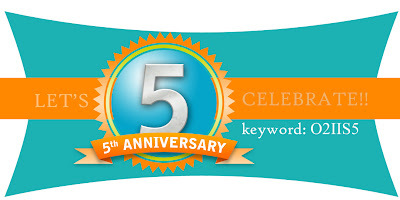 Happy Blogversary, Julie - and many more!! Here's another sketch from Paper Trey Ink - a nice easy design. 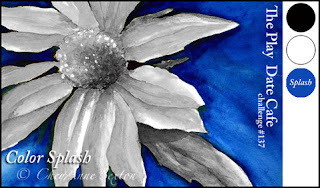 I based my card on the October Afternoon paper I used on the big banner, pulling the flowers (Beautiful Blooms II #1 dies) from it. 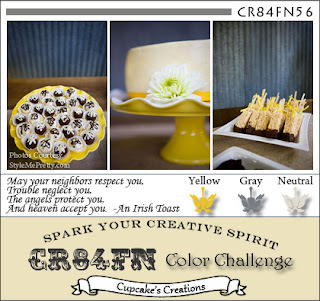 While visiting Deirdre's blog, I linked over to Paper Play Challenges, where the challenge is "Back to Kraft Basics". I love using kraft, and I kept it very basic on my entry, stamping only in black and using minimal embellishments. In case you're wondering, I looked up "Asperula Odorata" and it's Sweet Woodruff, a ground cover that gets fragrant white flowers and is used to make May wine. This is the version I know, and it does have a lovely fragrance! 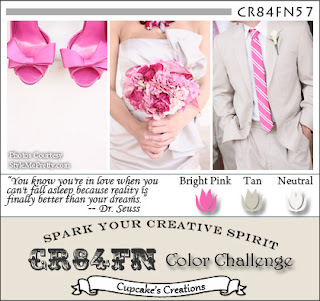 I'd also like to enter this into the Really Reasonable Ribbon challenge, to use flowers and ribbon. I'm playing with another sketch from this week's PTI Make it Monday challenge: Unique Sketches. This one was inspired by a pot holder! Both the black panel and the butterfly are popped up. 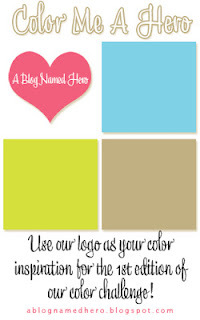 At A Blog Named Hero, our challenge is to use their logo colors. I decided to use one of the monthly sketches from Hero Arts blog this month, too. And since I couldn't find the right colors any other way, most of the stamping is done with VersaMark ink, getting my colors from embossing powders. The plus is that, viewed from certain angles, the embossing gives a nice glow to the card.